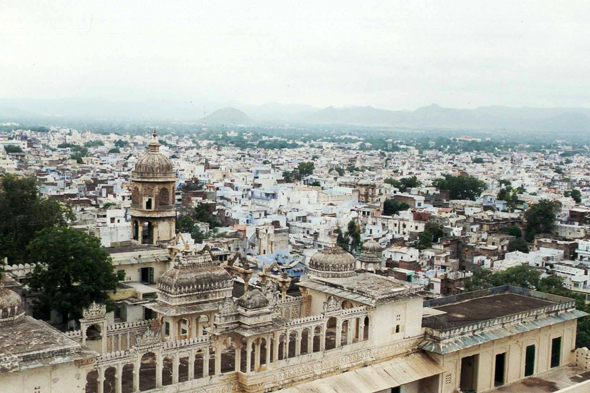 General view of Udaipur. The city has an unquestionable charm. All is softness and beauty: the white palaces, marble elephants, the pink of the bougainvilleas and the green hills.